In the early and high Middle Ages, villagers shared pieces of land around the village to eke out an existence. However, rises in the population and advances in agriculture gradually put pressure on this “shared” approach, leading to moves to privatise common land. Land Enclosure, as it was called, occurred principally in the 18th and 19th centuries, benefiting a relatively small minority while disenfranchising the majority. Fortunately, some members of the landed gentry and the clergy had social consciences, and around the 1760s they commenced what turned out to be a long struggle to provide land for the poor and unemployed by means of individual allotment initiatives, the petitioning of other landowners, and lobbying for legislation. It took until the middle of the 19th century for a reasonable level of progress to be achieved. Subsequently, changes in local government organisation and increased political lobbying resulted in more effective allotment legislation in the late 19th and early 20th century, allowing this foundation to be built on, and leading to a purple patch in the first half of the 20th century when the number of allotments peaked at 1.5m during World War I and 1.75m in World War II. Unfortunately, the second half of the 20th century saw a rapid descent from these dizzying heights, as the general standard of living increased and the financial need for individuals to grow their own crops diminished, leaving mainly a core set of diehards. The early part of the 21st century has witnessed some renewed enthusiasm, but there are in general no signs of additional land being made available, rather plots are getting smaller. The 21st Century – What Next? In the 11th and 12th centuries England, with a population of 1.5-2 million, was largely an agrarian society based on feudal principles. In the Open Field system, which was popular in large parts of North Western Europe and had first appeared in England during the Saxon period (around the time of King Alfred), a village was surrounded by several large fields that were split into long narrow sections, typically one furlong (220 yards) by one chain (22 yards). The attraction of large fields was that it made ploughing easier when undertaken jointly; heavy ploughs and largely clay-based soil made ploughing a difficult task for individuals on small pieces of land. A furlong stretch was split into strips (called sellions), typically of half an acre or less. Each villager had a number of strips that were allocated at a public meeting at the start of the year. They were widely scattered to prevent one person getting all the good (or all the poor) land. Crop rotation was practised by field: a three year rotation consisted of barley in one field in year 1, wheat in year 2, while it lay fallow in year 3. In addition to the “three” fields, there was common land for livestock to graze (fallow land and stubble were also used for this purpose) and common woodland for hunting and fuel collection. This system was evolved by communities who relied totally on the land, having few opportunities to barter and exchange. Inevitably, as the population grew, the lack of land made it difficult to maintain the system. In addition, by the 16th century another pressure on the Open Field system was a change in agriculture where new fodder crops such as sainfoin, clover, turnip and swede led to larger animals and herds, which produced more organic matter, which in turn led to larger crops. Pastoral and mixed farming became attractive, and with it a requirement for larger holdings. Members of the aristocracy and successful farmers lobbied aggressively to privatise land by moving to a closed field system through Land Enclosure. Enclosure took two forms: the division of large open fields into privately owned chunks of land; and the division and privatisation of common land and common wastes. Although Land Enclosure dates back to the 12th/13th century, it mostly took place in the 18th and 19th centuries. Over 3,500 Acts of Parliament were passed between 1700 and 1860 to enclose over 5 million acres of common fields and land. Two estimates show that less than 0.5% of the land that was enclosed was set aside for use by the poor. The overall effect was to produce a small prosperous landed gentry and a large disenfranchised peasantry. Less than 12% of people who worked on the land owned any part of it. The population rose by 77% between 1750 and 1850, an increase that was partly attributable to: earlier marriage; the attraction of child labour which meant more money for the family; a decrease in the death rate, e.g. with the introduction of smallpox inoculation; and the increase in poor relief when it came to be based on the number of dependants and the price of bread (Speenhamland Policy, 1795). The increased population, coupled with Enclosure, led to a significant increase in poverty. A series of Poor Laws were passed to address the problems that were caused by poverty. The first law, back in 1601, had attempted to alleviate vagrancy. Subsequent laws included: the introduction of the workhouse where the poor could be profitably employed; partial relief in the form of supplementary wages; and eventually total relief. Poor Relief was funded by tax levies on parish ratepayers; it rose from £700,000 in 1750 to £8m by 1850.
and it would help to stem the flow of people to industrial towns where Poor Relief was becoming a critical problem. The ideal size of an allotment was often discussed with many advocates considering that a family required a minimum of two acres. An early experiment was carried out in 1770 by a Lord of the Manor who set aside 25 acres of land for use by the poor near Tewkesbury. The successful outcome was that the poor rate was reduced to 4d in the pound, as opposed to between 2s 6d and 5s in neighbouring parishes. Several notable members of the aristocracy followed suit in the late 18th century by making allotments available, including Lords Carrington, Winchilsea and Egremont. Some providers of allotments set rules: Cranfield Church in Bedfordshire requiring regular attendance at church, the bringing up of the family in a decent and orderly manner, and specifying forfeiture of the allotment for any criminal conviction. Attempts to provide a legal framework for allotment provision met with vociferous opposition from landowners and farmers who feared that they would lose land. The solitary success was an act of 1782 which allowed the Guardians of the Poor to enclose up to 10 acres of waste ground near the Poor House for cultivation by parish paupers. It is important to note that this was not a mandatory requirement. This “voluntary” theme was to dominate legislation right through to the beginning of the 20th century, a factor that delayed progress. Lobbying towards the end of the 18th century took several forms. Two unsuccessful attempts were made in Parliament to require provision for allotments in any enclosure act – a Private Member’s Bill in 1790 and, after good work by a Select Committee, a proposed General Enclosure Act (1796). The promotion of allotments was one of the objectives of the SBCP (Society for Bettering the Conditions and Increasing the Comfort of the Poor) which was formed in 1796 by among others, Sir Thomas Bernard, a wealthy retired conveyancer, William Wilberforce, a wealthy Member of Parliament for Hull, and the Bishop of Durham. Meanwhile, Arthur Young, the foremost agricultural writer of the day, despite being an advocate of Enclosure, wrote a pamphlet in 1801 in favour of allotments, An Inquiry into the Propriety of Applying Wastes to the Better Maintenance and Support of the Poor. This only served to provoke large scale criticism and ridicule from the landed gentry. They were not the only opposition: John Stuart Mill, the philosopher, subsequently saw allotments as a means “to make people grow their own poor rate”; some argued that they would reduce labour mobility; while some egalitarians said that, since allotments could not be provided to everybody who wanted them, nobody should have one! Somewhat perversely, Lord Carrington, a significant provider of allotments, was against any legal provision, believing that they should be provided through acts of charity rather than via acts of Parliament. Unfortunately, the various endeavours to promote allotments were too piecemeal to combat the might of the landed gentry and farmers, and consequently progress was limited to the promising work of individual benefactors. One example of the possible benefits of allotments occurred around 1800 when Thomas Estcourt provided 100 allotments at Long Newnton in Wiltshire. They were provided on 14 year leases at a rent equivalent to 34s per acre, and by 1805 the parish Poor Relief had dropped from £212 16s to £12 6s. The attraction of allotments to the poor became stronger around this time with the acceptance of the potato as a staple item of diet, even though many questioned its nutritional value, particularly when compared with the existing diet of bread, cheese and occasional meat. While farmers were reluctant to grow them, one estimate claims that around half of allotment land was put down to potatoes, the remainder consisting mainly of wheat and barley. The long, slow struggle of the advocates of allotments eventually bore some fruit with the passing of the first major act, the Select Vestries Act (1819), which gave Churchwardens and Poor Law Overseers the authority to purchase or lease up to 20 acres of land and let it to the poor and unemployed of the parish as allotments. Unfortunately, there was no significant take up of this opportunity, not helped by the reticence of some farmers to give up land for this purpose, and the distrust of labourers who feared that their wages would be reduced as a result of having parochial land. This apprehension was not totally without foundation, as some farmers made threats not to employ people with allotments. Estimates vary as to the total number of allotment sites by 1830. Burchardt, the historian, conservatively suggested in The Allotment Movement in England 1793-1873 that there were probably no more than 100. However, data from the FACHRS project (2009) have made him consider increasing this figure. Overall, Wiltshire was the main hotbed of activity, while Northamptonshire led the way in the Midlands, but there was little happening in the North West. Life was getting progressively harder for the rural poor as wages were being reduced. The reasons for this reduction included: a surplus of labour with the return of soldiers after the Napoleonic Wars and automation in the form of the threshing machine. These factors, coupled with bad harvests in 1829 and 1830, led to the Swing Riots of 1830 and 1831. Captain Swing (some say an entirely mythical figure) led the initial riots in East Kent that quickly spread across Southern England, resulting in the burning of hayricks, the destruction of threshing machines, coupled with acts of robbery and burglary. The rioters were harshly dealt with: 19 people were executed, and over 1,000 were either jailed or transported to Australia. Fears of further social unrest provided more fertile conditions for lobbying landowners than had been experienced back in the 1790s. The time was ripe for the formation of the Labourer’s Friend Society (LFS) by Benjamin Wills, a London surgeon, in 1832. It promoted the acquisition of small plots of land at reasonable rents for use as allotments, which it saw as a means of inducing self-respect, feelings of moral responsibility and independence among the poor. Wills quickly received support from a number of prominent landlords, including the Dukes of Bedford and Shrewsbury, plus the Bishops of Bath and Gloucester. The LFS published a monthly magazine which was primarily aimed at landowners and clergymen; 26 MPs subscribed to it in 1833. This was supplemented by the use of travelling agents who spread the word across the country and helped to form local branches. Apart from the central characters in London the LFS had a number of individuals of note in the field during the 1830s and 1840s. In the Midlands James Orange lectured, helped to form societies, assisted in negotiations with landowners to provide land for allotments, and wrote to the local press. In a single two year period he helped to form 63 local societies and provide 800 acres of plots. George Scobell, the founder of East Somerset Labourer’s Friend Society, was himself a landowner who provided allotments. He was indefatigable in his work for the movement, writing and speaking profusely, and continually badgering other local landowners to provide allotments. George Law, the Bishop of Bath and Wells, had introduced allotments to Willingham in 1807 while he was rector there, and he continued this theme when he was elevated to the bishopric with sites at Wells (100 acres) and Banwell. Finally, the Reverend Stephen Demainbray of Great Somerford in Wiltshire who had initially provided allotments in 1806, 8 acres let to poor families free of charge, was heavily involved in the LFS during the 1830s and 1840s. Although landowners and gentry were gradually persuaded of the case for allotments a significant number of farmers were against the idea at this time. Hostility was particularly pronounced against larger plots (1-2 acres and above) more especially where wheat – which farmers considered to be their sole reserve – was grown. They also thought that allotments would weaken their bargaining position with labourers. For example, the labourers would work less hard, saving their energies for their own plots and possibly not even be available at harvest time; they would be tempted to steal from the farmer, notably crops to feed their own livestock; and finally farmers were concerned that improvements in the lot of the labourers would affect their own status, in particular, their middle class way of life. Their opposition to allotments took various forms: primarily a reticence to make land available (landowners were generally loath to force farmers to surrender land); an unwillingness to loan equipment for transporting manure or for ploughing; and in some cases a downright refusal to hire labourers who had allotments. Opposition was far from being total, varying from area to area: the farmers in East Anglia were particularly hostile while those in Kent tended to be generally in favour of allotments. Where hostility was present, it helped to sour the relationship between the farmers and the landowners. Returning to the landowners, individual benefactors and clergymen continued to show the way. Among the large landowners: the Duke of Bedford let 600 plots by 1832; the Duke of Richmond 1500 plots (1830s); the Duke of Newcastle 2000 plots in Notts by 1843; while the Lansdowne estate let 400 acres (1840s). Rector John Steven Henslow, a friend of Darwin, provided some allotments in his glebe (land owned by a clergyman) at Hitcham in Suffolk in 1845. He subsequently obtained 16 acres from the Hitcham Land Charity in 1849 plus a further 20 acres in the following year. Another clergyman, Richard Jefferies, made part of his glebe available on condition that the tenant and his family attended church regularly and did not drink on the Sabbath. While it was often clergymen who lobbied for allotments, the majority of country parsons tended to side with the rich and powerful during land changes, i.e. they supported enclosure. Mary Anne Gilbert of Sussex reclaimed waste land near Beachy Head, subsequently sending Lord Liverpool some potatoes that had been grown on the beach. Sir John Lawes, who converted his inherited estate in Hertfordshire into the Rothampsted Experimental Station, established allotment gardens, and in 1857 he built a social club for use by the plot holders. To what degree did the lobbying of the LFS and the work of individual benefactors succeed in increasing the supply of allotments? At the start of this period the Rural Queries section of the Poor Law report of 1834 formed the basis of Barnett’s map of the proportion of allotments in each county. This painted the somewhat rosy picture that 42% of parishes across England and Wales had implemented some sort of allotment scheme. Although many people have subsequently relied on these figures, at least one historian (Burchardt) has grave doubts over the validity of the conclusions that were drawn for several reasons: the sample was small (only circa. 8% of parishes completed it); and many did not bother to answer the allotment-related questions. It is therefore probable that we are starting from a relatively low base, possibly 15-20,000 plots? There appears to be more general agreement that by 1850 there were around 100,000 plots, although it has to be emphasised that these figures are unofficial. So the lobbying of the LFS and the work of individual benefactors did bear considerable fruit. However, supply was still far from meeting demand, and there were long waiting lists despite the fact that rents were high, often significantly greater than that of surrounding farm land. The desire to have an allotment was fed by the simple economic fact that it was profitable; one small sample of 12 sites showed a profit of £11.37 per acre (1831-45). An allotment could produce double the yield that could be obtained from the equivalent area of farm land due to the fact that it was better prepared, e.g. more manure was used (often picked up from roads after livestock had been moved), and it was more intensively cropped. Although the emphasis of the allotment movement had been on the provision of land for the rural poor agricultural labourers were not the only plot holders. Statistics from the FACHRS project (2009) indicate that while they formed the majority (at 60%+), craftsmen and industrial workers such as carpenters, masons, blacksmiths and miners accounted for around 34%. Tradesmen such as publicans, butchers and bakers amounted to 2%, and there was the occasional professional person. Discontent, social unrest and rural crime began to abate from around the middle of the 19th century. The Repeal of the Corn Laws in 1846 helped to stimulate economic growth in the 1850s and 1860s, resulting in more work and higher living standards. The moralists had been partly right: a degree of independence and better living standards helped to reduce pilfering; and the new “property owners” were less tolerant of crime. Lobbying for allotments inevitably started to decline with these improvements; the LFS metamorphosed into SICLC (Society for Improving the Conditions of the Labouring Classes), whose focus was on the provision of housing. By 1873 it is estimated that there were 243,000 allotments with an average size of ¼ acre, and that one in three agricultural labourers now had a plot. The greater supply of allotments now led to complaints about the high rents; people had previously been more concerned with simply getting hold of a plot. Rents for allotments had invariably been greater than rents for surrounding farm land, sometimes by a factor of 4 or 5. For example, allotment rents in Berkshire in the middle of the Victorian era ranged from 3d to 6d per rod, £1-£2 per ¼ acre. A labourer’s weekly wage around this time was 12s to 15s. Somewhat perversely, given the progress over this period, there had been little legislation. Two acts were passed in the early 1830s: up to 50 acres could be purchased or leased in the event that the 20 acres which was specified in the 1819 Select Vestries act was insufficient (1831); and the size of an allotment was set at between ¼ and 1 acre (1832). The only other piece of legislation was The General Enclosure Act of 1845 which allowed for the development of a field garden for the use of the poor after the enclosure of land in a parish. Although it sounded promising the decision on setting aside some land for allotments was left in the hands of the Enclosure Commissioners. The fact that only 2,223 acres were set aside for the poor out of 614,800 that were enclosed in the period between 1845 and 1869 was an indication that the Commissioners were not generally disposed to be generous. Changes in the crops that were grown on allotments occurred very gradually over this period. Potato continued its role as the staple diet, a pragmatic decision based on the ease of cultivation and the size of the crop. Wheat was next in line, followed by peas and beans, and finally a long thin tail of other crops, e.g. carrots and onions. On the subject of potatoes, potato patches became popular in the 19th century: they were areas of land that were let for the season by farmers to grow potatoes at 4-5 times the rent that they paid. The land had to be manured and kept clean by the tenant. A variation on this theme that became popular in the West Country, Lincolnshire and East Anglia was where the farmer ploughed and manured the land while the tenant planted and looked after the potatoes in return for a small percentage of the crop. Potato Blight, which caused famine in Ireland, appeared on the Isle of Wight in 1845 and spread across Britain in 1846, briefly led to a reduction in the popularity of allotments. This is probably the place for a brief discussion on Fuel Allotments, a term which can be confusing to some. Fuel Allotment and Poor’s Land trusts can be found scattered around the country. They are charities whose aim is to assist those who are suffering hardship and distress. As mentioned previously, a token amount of land was set aside for the poor, as part of the overall land enclosures. Parliamentary Commissioners were instructed to decide which parcels of land would be used. It has been estimated that a derisory figure of less than 0.5% of the total land enclosed was ultimately set aside for this purpose. It was often poor or waste land. Apart from the land necessary for cultivation, villagers had also lost their access to common land which they used for animals to graze on and for the collection of fuel items such as turves. It was the provision of fuel that was to be the main use for these parcels of land. Hence the title of Fuel Allotments (or Poor’s Land). However, some of this land was occasionally let as allotment gardens. While some individuals did indeed forage for their own fuel under the new regime, the more usual system involved the land being rented out, e.g. to farmers. The resultant income was used to purchase fuel, typically coal, for the poor. The gradual reduction in the use of coal eventually saw a move to more general financial assistance to the poor and needy. Over time some of the land has been sold, with the proceeds being added to the funds of the charity. The objective of these charities is to maximise their income wherever possible, and therefore they will invest funds to help provide further income. The histories of some of these charities can be found on the Internet. Hampton Fuel Allotment Charity and Tilehurst Poor’s Land Charity are both well worth reading. As discussed so far, the allotment movement had been primarily concerned with rural areas. “Gardens” had already appeared in some towns and cities, the most famous being the Guinea Gardens which were established around 1720 in Birmingham – so called because of the initial annual ground rent. The intention of landlords had been to appeal particularly to rural folk who had moved to the town. These detached gardens proved to be extremely popular, and the amount of land that was set aside for their use grew rapidly during the remainder of the 18th century. Edgbaston in Birmingham was one of the areas where they were to be found. The gardens were owned in a similar manner to leasehold properties and could remain in a family for several generations. Summerhouses and pavilions were often built, and many had a water supply. They are similar in many ways to some of the modern allotments that can be found in Holland and Germany. Although fruit and vegetables were grown, they were more ornamental gardens. Needless to say, the owners were not members of the poor class; they were a mixture of businessmen, craftsmen and artisans. The gardens were gradually sold off for development during the Victorian era. Other towns had similar schemes: Hunger Hill in Nottingham, Newcastle, Coventry and Warwick. 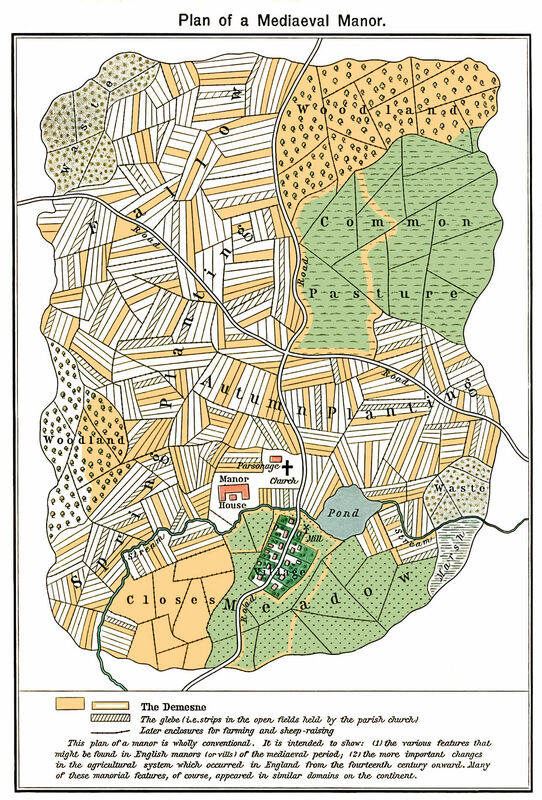 Parcels of land in and around Sheffield were rented out as a mixture of market gardens and allotments from the 1730s onwards. The owners of the land often went on to build on it, but meanwhile they obtained an income by letting it out for gardening purposes. The costs of an allotment were cheap in comparison with the likes of the Guinea Gardens but relatively expensive at circa 12s 6d for 10 poles when compared to council-set rents 100 to 150 years later. N. Flavell in his paper Urban allotment gardens in the 18th century: the case for Sheffield estimates that there were 1,500-1,800 allotments in the 1780s. Allotment areas had been set aside in various places under the Select Vestries Act (1819): just outside the urban boundary; in parishes adjacent to urban areas that subsequently subsumed them; or on undeveloped land within the urban boundaries. By 1850, allotments had appeared in places such as Leeds, Bradford, Halifax and Southampton. Urban dwellers were becoming more attracted to them: they had little or no access to green spaces in the town; and they were restricted by the laws of enclosure when they went out into the countryside. In fact, as allotments gradually became less popular in rural areas towards the end of the 19th century, particularly among the young, urban dwellers were beginning to clamour for them. The typical size of an urban plot around this time was 20 poles (600 square yards or 500 square metres), although there were signs of 10 pole plots (the size of a full plot today), and Lewisham Park in South London even had some 5 pole plots. This period saw the allotment movement peak with the number of allotments growing from 243,000 in 1873, to 445,000 in 1890, and on up to 600,000 in 1913 just prior to the First World War. They subsequently peaked at 1.5m during the First World War and 1.75m during the Second World War. Reasons for this marked increase included: a higher political profile; changes in local government organisation; a rash of legislation; and most notably, the shortages of food during the two World Wars. The idea that allotments would, first and foremost, improve the moral character of the poor had largely disappeared by the start of this period, rather stress was placed on the material benefits that could result. An example of this came with the reawakening of political interest in allotments in the late 1860s when reports by the Royal Commission on the Employment of Children, Small Persons and Women in Agriculture stressed the benefits of allotments on living standards. This led directly to the first official allotment census in 1873 although only rural parishes were within its scope, urban communities were not. Another factor was that agricultural unions, mainly the National Farm Labourers’ Union (formed in 1875), took up the cudgels. This led to a higher political profile in the 1880s through to 1914, as the Liberals and Conservatives vied for the rural vote. Halley Stewart stood in and won the Spalding bye-election in 1888, partly on an allotment ticket. He held the seat for the Liberals until 1895. A brief summary of local government organisations in the 19th century is necessary at this point to put the discussion on changes in legislation into some context. A Poor Law Union was a unit used for local government in the early and middle years of the 19th century. In the Poor Law Amendment Act (1834) a parish was allowed to form a union which was to be responsible for the administration and funding of Poor Law Relief. These unions subsequently took on other duties such as civil registration (births, deaths, marriages, et cetera). They provided the foundation for Sanitary Districts that were set up in 1875, principally to improve public health. County Councils came into being in 1888, and they were followed by Urban and Rural Districts which replaced Sanitary Districts in the Local Government Act (1894). The relative flood of legislation commenced with The Allotment Extension Act (1882) that required trustees holding charity land for the use of the poor to set aside part of that land for use as allotments. It was followed by The Allotment Extension Act (1885) which allowed allotments to be let at the same rate as surrounding farmland. Arguably the most important act was The Allotment Extension Act (1887), which was the first attempt at legislating for the public provision of allotments. It enabled Sanitary Districts to provide allotments, if necessary by the compulsory purchase of land. Six registered electors could appeal to a Sanitary District to enforce the act. In theory, the establishment of County Councils in the following year put pressure on Sanitary Districts to provide allotments. This pressure was tightened in 1890 when County Councils were required to have an Allotment Committee which was responsible for holding inquiries if a Sanitary District failed to provide allotments. The Local Government Act (1894) meant that the new councils that it had created had the power to provide allotments of up to 1 acre in size by voluntary agreement, or up to 1 acre (arable) and 3 acres (pasture) if compulsory means were required. While these changes helped, it was still all too easy for the authorities to “sit on their hands” and avoid having to take action to provide allotments. In the Small Holdings & Allotments Act (1907), County Councils were forced to become proactive, ascertaining what land was required for allotments, while central power was vested in the Board of Agriculture (BoA), reflecting the view that County Councils had not been effective. The BoA was able to launch independent inquiries if it considered that a County Council was not doing its job. Finally, the Small Holdings & Allotments Act (1908) was a general tidying up of the 1887, 1890 and 1907 acts; it included a statement that councils must recover costs, i.e. they could not run allotments as a loss-making activity; and it required that notice to quit had to be given to plot holders. This act is still on the statute book today, and it tends to be the one that is most referred to. A BoA survey in 1912 showed that around 25% of councils supplied land for allotments, amounting to 31,000 acres of which approximately 23% was purchased and the remainder leased. There were difficulties in getting land for urban allotments, principally due to development pressures. To combat this problem The Vacant Land Cultivation Society (VLCS) was formed by Joseph Fels in 1907, but it had little early success in getting areas of waste land under cultivation. The outbreak of the 1st World War in the summer months of 1914 had surprisingly little effect initially on the provision of allotments. Not a great deal happened in 1915 either, except for inspections of possible areas of land that could be used. The BoA gradually began to lobby mayors to produce as much food as possible in the following year, and some boroughs did respond to this call, most notably Croydon and Stafford. It was towards the end of 1916 that action finally quickened when Lloyd George swept to power at the head of a coalition. In line with the Defence of the Realm Act (DORA) which had been passed in 1914, the Cultivation of Lands order was passed whereby any unoccupied land could be secured by the BoA. Despite the reticence of some authorities to tow the line, notably London County Council, a wave of “allotmentitis” swept the country in early 1917 and membership of the VLCS grew quickly to 8,000. Model plots were set up in various places, such as Kensington Gardens, to help new gardeners. Railway land was used, and some incredibly unpromising land was cultivated; there was a site in Battersea where they went down 10 feet before they came across soil. In 1918, the final year of the war, it is estimated that there were 1.5m plots, and demand, fuelled by rises in vegetable prices, continued into 1919 with around 7,000 new applications per week. Inevitably, the end of the war saw attempts to reclaim land had been set aside under DORA. London County Council withdrew areas in parks and gardens at the end of the 1919 growing season. Although the BoA fought to retain as much land as possible in the short term, it gradually seeped away in the early 1920s. The acquisition of land for allotment expansion became more difficult. As well as development pressures, there was now a requirement for recreation grounds to satisfy the growing interest in sport. The 1920s saw further legislation. The Allotment Act (1922) specified 40 rods (1/4 of an acre) as the maximum size of an allotment garden; it required 6 months notice to quit and compensation terms for plot holders; and importantly, it required councils to set up Allotment Committees (although this stipulation was subsequently removed in the Local Government Act (1972)). Importantly, the Allotment Act (1925) defined “statutory allotments”, land which had been purchased solely for use as allotments. Councils could not sell or reuse such land without the consent of the Secretary of State for Agriculture. Finally, under the Local Government Act (1929) agricultural and allotment land became non-rateable. Despite the improvements in legislation the general trend during the 1920s and 1930s was downwards; there were 819,000 plots in 1939, 80% of which were urban plots. The reduction was due in part to a waning of enthusiasm, the arrival of Potato Wart disease in 1923, and the effects of the economic recession of the late 1920s and 1930s. The recession led to various attempts to provide facilities: The Lord Mayor’s Fund for the relief of distressed mining areas; the Central Executive Committee, set up by the Ministry of Agriculture to promote the cultivation of allotments by the unemployed, worked with the Society of Friends Allotment Committee and the National Allotments Committee to enable 100,000 individuals to work on allotments; and the number of Benevolent Societies operating allotment schemes doubled from 1,200 to 2,400. The Government reacted much more quickly to the outbreak of the Second World War, launching the Dig for Victory campaign in October 1939 with the objective of creating 0.5m new allotments. Just as in the First World War, the Leisure and Recreation lobbies objected. However, despite their protests, use was made of pasture land, railway land, spaces in parks, front gardens, disused land on airfields, and even bomb sites. The Bethnal Green Bombed Sites Association set up an area (150 feet by 80 feet) where houses and shops had stood and divided it up into 17 plots. 50 tons of rubble were removed, and it was necessary to dig down 4-6 feet to hit soil. The Ministry of Agriculture produced a series of leaflets with instructions on all aspects of fruit and vegetable cultivation. As the number of plots grew it became more difficult to get hold of adequate quantities of manure. A partial solution appeared with the introduction of National Growmore, a chemical-based balanced fertiliser (7 (nitrogen) :7 (phosphorus) :7 (potash)), which was initially made available by George Monro & Sons. Potatoes were the most popular crop while Onion Clubs were formed to encourage people to grow the crop, as it had become almost impossible to get hold of them by 1941. By 1944 it was considered that the sources of new land for allotments had been virtually exhausted – there were now an estimated 1.75m plots – and thoughts turned to making the best use of the existing land by encouraging composting. Between the end of the war in 1945 and 1947, 0.5m allotments disappeared as temporary plots reverted to their original use, and people gradually started to lose interest. Somewhat perversely, this decrease coincided with the very harsh winter of 1947 when many potatoes in storage and winter vegetables were lost. It also saw the continuation, and even worsening in the short term, of rationing which did not finally disappear until 1954. On the legislation front, The Allotment Act (1950) increased the notice period to quit that plot holders must be given to 12 months. In the following year (1951) the recently formed National Association of Parish Councils produced a handbook on running allotments for local councils. The 1950s and 1960s saw a continuing decline with the number of plots falling to 532,000 by 1970. Contributory factors included: improved standards of living leading to reduced levels of interest; the ever-present threat of development; the lack of access to many allotment sites by vehicle; inadequate fencing; and the rise of vandalism, particularly in the 1960s. Plots on railway land provide an indication of the scale of the drop: there were around 75,000 plots in 1950 and they decreased at the rate of 3,000 per year. However, there were additional factors to be considered on railway land: British Rail had decided that the administration of such a large number of allotments was uneconomic and was keen to reduce the numbers; the lack of facilities such as water on many of their sites; and of course the Beeching line closures in the 1960s saw sites simply disappear along with the lines. As the decline progressed, many sites, particularly those with sheds, had a tendency to become more ramshackled and dilapidated. In the North and the Midlands, where pigeon racing and the keeping of livestock were accepted parts of the allotment scene, this deterioration could be more noticeable. Devotees of these activities often gobbled up spare plots. As many of them were not much interested in growing fruit and vegetables, their crees and “farmyards” only served to make sites look even uglier. It also put some growers off; they complained that these activities introduced flies, maggots, increased levels of vermin, et cetera. In 1965 the Ministry of Land and Resources set up a committee under Professor Thorpe of Birmingham University to investigate the problems surrounding allotments. Unfortunately, the review did not get off to an auspicious start. A detailed questionnaire was sent to 900 Urban and 8,500 Parish Councils. It was not well received, as the replies from some of the parish clerks indicate. In response to a question on the degree to which flowers were grown, one clerk said that if they thought that he was going to go round and count flowers they had another think coming. Similarly, a query as to whether the council had a model plot that people could go and look at, received the ironic reply that unfortunately all the allotments were on view and could be looked at anytime. A separate questionnaire was sent to plot holders, and it fortunately received more constructive replies. The Thorpe Report was eventually published in 1969. Its recommendations included: each council should provide a minimum of 15 full size plots (10 poles each) per 1,000 households; the continental leisure garden found in the likes of Germany and Holland should be adopted; and sites with these leisure gardens should be landscaped and have facilities such as hard surfaced roads, toilets and communal building(s), although they should be paid for by the plot holders. The recommendations were never enshrined in law, although the recommended minimum number of plots per 1,000 households has always been quoted by the National Society of Allotment and Leisure Gardeners (NSALG) since that time. Some improvements to facilities have materialised, albeit mainly on independent sites with significantly more modest changes being seen on council-run sites. Despite periodic bursts of renewed enthusiasm, such as in the late 1960s and early to mid-1970s, the national decline continued with the figure reaching an estimated 250,000 plots by 1999 (figure for England only). The 21st Century – Where to Now? It is difficult to assess what the core requirement for allotments is likely to be, perhaps 300,000-350,000? There has certainly been a surge in demand in recent years, as crop taste and the dislike of widespread pesticide usage by producers, have become important factors among sections of the population, particularly young mothers who have been drawn to allotments. It remains to be seen if this increased interest can be maintained. A cynical view of history would indicate that we are merely on a temporary upslope of the standard cyclical pattern where periods of enthusiasm alternate with periods of relative disinterest. Nevertheless, it seems bizarre, not to say disheartening, to note that in the two year period from April 2007 to March 2009 during one such upturn in demand there were 98 applications to close statutory allotment sites and only 2 were turned down (response to a question asked in Parliament). The average size of plot is undergoing some change. Shortage of land and lengthening waiting lists during the current period of increased demand are resulting in a gradual reduction from 10 to 5 pole plots in some areas. It is also apparent that there is some demand for even smaller plots, typically 2-2.5 poles among people who are keen to grow crops, but have limited time available. These “quarter-size” allotments are sometimes called starter plots, as they can be given to people who have no previous experience of growing and can be seen as a useful way of discovering if they can maintain their initial enthusiasm or not. There is a view that allotments may take on a greater leisure role in the future, as indicated in the Thorpe Report of 1969. Allotments on the Continent take this approach but the Dutch, for example, have greater land pressures than are experienced in England and Wales. Many of them live in flats and apartments and have no gardens of their own. This gives them a much greater incentive to make all-round use of their allotments, and importantly, they are prepared to pay for the opportunity to establish their own green paradise. Whatever the future, champions and individuals who are prepared to fight for the allotment cause, particularly against the threat of development, will be necessary more than ever to protect a right that was hard won over a lengthy period of time by so many enlightened individuals. Increasing numbers of allotment sites have formed allotment associations. Part of the reason is to ensure that plot holders are properly represented on council-run sites. Some associations have gone further and adopted varying degrees of self-management, from simply being responsible for some site maintenance work, all the way through to being fully responsible for the entire site, including the setting of rents. It is perhaps inevitable over time that plot holders on council-run sites everywhere may have to accept that some degree of self-management may ultimately be required to reduce the council’s workload and costs, thereby making it less likely that endangered allotment sites will be lost. Burchardt, J., Cooper, J., Breaking New Ground, FACHRS Publications, Milton Keynes, 2010. This is the result of work by the Family and Community Historical Research Society. The project’s aim was to discover more about allotments and their use across the country in the 19th century. Burchardt and Cooper acted as editors for the book with Burchardt producing a summary. The period covered is 1793-1873, matching the period covered by his work The Allotment Movement in England 1793-1873. Here are some further useful links. Allot More Allotments, a campaign site for more allotments, has a useful overview page on legislation. Current UK legislation can be located at the Office of Public Sector Information (OPSI) website and the UK Statute Law Database. Key a search on allotments to get a list of the main allotment acts. Arguably the major act is The Small Holdings and Allotments Act (1908). This page currently contains links to 50+ histories of individual allotment sites. Many of them are fairly concise, typically equivalent to one or two sheets of A4, while some are significantly more detailed. Version 1 – December 2006. Version 2 – June 2007 – significant re-write of period from 1770-1880. Version 2.1 – November 2009 – expansion of period after the 2nd World War. Version 2.2 – December 2010 – addition of More Links section and minor editing. Version 2.3 – February 2011 – additions to the sections on 1830-1873 and the urban scene plus some links. Version 2.4 – December 2011 – minor edit to 21st century section plus check that all links are still valid. Version 2.41 – March 2012 – added two references. Version 2.5 – December 2012 – a brief mention of fuel allotments, the inclusion of some figures on the types of allotment tenants in the mid-19th century plus the correction or removal of broken links. Version 2.6 – October 2013 – minor edits and correction / removal of broken links. Version 2.7 – October 2014 – minor edits and correction / removal of broken links. Version 2.71 – March 2015 – added link to the Library of Birmingham’s Digging Around Project. Version 2.72 – October 2015 – minor edits and correction / removal of broken links. Version 2.73 – October 2016 – minor edits and correction of broken links. Version 2.74 – December 2017 – correction of broken links.